Forest Research Institute, Dehradun announces the Master of Sciences (M.Sc) Admission at FRI (Deemed) University for the session 2019 – 21. Candidates who are searching for M.Sc Courses at FRI (Deemed) University for 2019 session can check all the details like schedule, eligibility criteria, application procedure, admission procedure from this page given below. Candidates can download the application form for FRI M.Sc Admission 2019 from the official website and also available on this page. Latest: FRI M.Sc Application Form 2019 has been released. Candidates can log in or register from the link below. The Forest Research Institute University admission test 2019 will be held at 12 centres in the country. The duration of M.Sc courses will be 2 years. Candidates can fill their application for M.Sc courses in the various discipline at Forest Research Institute, Dehradun as per scheduled date. Those who filled their application on or before the last date has issued admit card for the entrance examination. Schedule for FRI M.Sc Admission 2019 is given below. Application form can be obtained by post by submitting a Bank Draft for Rs. 1200/- (Rupees One thousand two hundred only) payable at Dehradun in favour of Registrar, FRI (Deemed) University, P.O. : I.P.E., Kaulagarh Road, Dehradun–248 195 or on before the last date. A candidate who wants to apply for two or more courses has to fill up separate form fee of Rs. 1200/- for each course. Candidates can download the application form from the link given below. Download Application Form – (Indian Candidates). Download Application Form – (Foreign Candidates). Note: (Forms received after the last date will not be accepted) It is advised that the application form is sent by Registered Post/Speed Post/ Courier. Postal delay will not be accepted as a plea to entertain applications after the last date. M.Sc. Forestry: Three years bachelor’s degree in science with at least one of the subjects namely Botany, Chemistry, Geology, Mathematics, Physics, Zoology or a Bachelor’s degree in Agriculture or Forestry. M.Sc. Wood Science & Technology: Three years Bachelor’s degree with Physics, Mathematics, and Chemistry or B.Sc. degree in Forestry. M.Sc. Environment Management: Three years Bachelor’s degree in any branch of basic or applied Sciences or Bachelor’s Degree in Forestry or Agriculture or BE/B.Tech in Environment Science. M.Sc. Cellulose & Paper Technology: Graduate degree with minimum 50% marks in aggregate in Science with Chemistry as one of the subjects. BE/B.Tech. (Chemical or Mechanical Engineering with minimum 50% aggregate). The maximum age limit in respect of in-service candidate to M.Sc. Environment Management course shall be 50 years. The age shall be reckoned as on 31st July of the year of admission and no further relaxation will be given in any case. Admit card containing centre code and roll number will be mailed to the applicant by the fourth week of April, 2019. 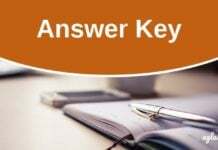 In case a candidate has either not received the admit card or has lost it, a duplicate card can be obtained from the centre superintendent of his/her examination centre. Alternatively, the candidate may reach the office of the Registrar, FRI University, Dehra Dun on working day during working hours. Where duplicate admit card will be issued after submission of a bank draft of Rs. 50/- and a photograph identical to that pasted on the admission test form. The entries in the answer sheet must be made with Black/Blue ball point pen only. The options in the answers are also to be rounded with ball point pen only. The candidate will fill in all the details in the space provided for it on the front page and affix his signature before starting to answer the questions. Each question will be followed by four alternative answers. The candidate is required to select the one which he/she feels is the correct answer. The detail instructions will be printed on the answer sheet. The candidate is advised to go through the instructions. There will be negative marking for the wrong answer to the extent of one-fourth (¼) of the marks allotted to the questions. No page from the test booklet is to be torn or removed. If the candidate is found tearing any paper from the test booklet, he/she is liable to be punished for use of unfair means. Inner cover page of the Test Booklet or the blank space/pages at the end of the Test Booklet may be used for rough work. In case of any dispute, it will be subject to the jurisdiction of Dehra Dun court only. Dehradun, Jabalpur, Bangalore, Kolkata, Chandigarh, Delhi, Lucknow, Jodhpur, Shimla, Ranchi, Coimbatore, and Jorhat. Reservation to OBC – will be provided as per the policy of Govt. of India. Physically Handicapped – 3% reservation to the Persons with Disabilities under the Persons with Disabilities (Equal Opportunities, Protection of Rights and Full Participation) Act, 1995 Chapter No. 39, in each course for the candidate with locomotor disabilities one leg, one arm (without mobility restriction) and persons with partial deafness. The candidates will have to produce Disability certificate issued by the competent authority at the time of Counseling for admission. In-service – 5 seats in M.Sc Environment Management course for in-service candidates working in Government Departments. that the applications of self-financing Foreign nationals should be routed through concerned Indian Diplomatic Mission abroad or Diplomatic Mission of the country of the applicant in India and should be reached in the office of the FRI Deemed to be University by the 31 st May, 2019. Fee to be charged from the foreign nationals is given below. that they have adequate knowledge of English as per requirements of the course. Sports, Magazines fees – 30 US$ p.a. High School Certificate/equivalent Certificate and Mark sheet. Intermediate Certificate/equivalent Certificate and Mark sheet. B.Sc. degree and Mark sheet of all the three years. M.Sc. degree and Mark sheet. Admission Test admit card issued by this office. SC/ST certificate on the basis of which reservation is claimed. Preference will be given to the candidate who has higher percentage of aggregate marks in the qualifying examination. In case the candidates have an equal percentage of aggregate marks in qualifying examination then the candidate higher % in graduation will be given preference. 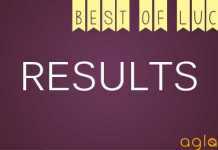 After the FRI M.Sc Admission 2019 Result is declared. Candidates can check the Subject wise seat allotment i.e available on the official website or can check from the below direct link which will be provided below. Read the article further to check more details on FRI M.Sc Seat Allotment 2019. A merit list of candidates including a waiting list is formed for each course on the basis of aggregate marks secured in the written test. Candidates are selected in order of merit in all the categories. The result of the exam is declared on the website www.fridu.edu.in. The selected candidates will have to pay the prescribed fees and join the course by the due date notified. The fee has to be paid at the time of counseling otherwise the seat will be offered to the next candidate. If a selected candidate does not join by the prescribed date or if no extension has been asked for and granted by the University the admission shall stand canceled automatically and the seat shall be offered to the candidate in the merit/waiting list. 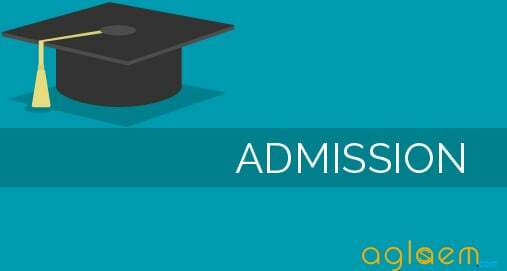 For more details of FRI M.Sc Admission 2019 – Download Information Brochure. How can I download my admit card ?